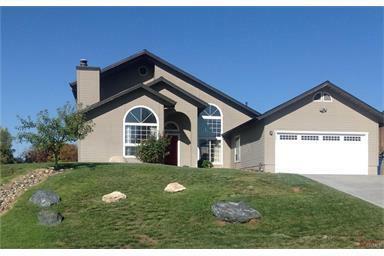 Lovely home located in desirable Meadowlark Estates neighborhood. This home is immaculate inside and is priced for immediate sale. This home has been freshly painted, features new Eco Series Almond wood floors in the living areas, new stain resistant carpet in all bedrooms, new roof in Spring of 2016 and large backyard covered patio for your entertaining pleasure. All living areas and two bedrooms on the first level and upstairs is only Master bedroom suite and bath with large deck overlooking tree covered greenbelt area.